In 1988 he performed as a soldier in a school-theater, which led to his interest in stage combat and martial arts movies. In 1993 he began attending Moy Yat Ving Tsun Martial Intelligence in Sao Paulo, Brazil, where he studied Ving Tsun Kung Fu and Hung Gar. He graduated as an Instructor of Kung Fu in 1995 from Wu Shing Kung Fu Association, actually called Kai Men. In 1996 in Sao Paulo, Brazil, he trained Ving Tsun Kung Fu directly from the master Leo Imamura. In 1997 in Sao Paulo, Brasil he became part of the Central Association of Moy Yat Ving Tsun as a resident student. He started training Traditional Chinese Kung Fu in two different schools, "Wu Shing", headed by Horacio Di Renzo and "Chin Wan" by Claudio Di Renzo, focusing mostly in Hung Gar Kuen, Ving Tsun and others styles of Kung Fu. Andrew is a Disciple of the Master Leo Imamura (Ving Tsun Kung Fu) from Brazil, and disciple of second generation of Grandmaster Moy Yat (Moy Yat was a disciple of Ip Man in Hong Kong). In 1993, Andrew began working with a professional photographer as a model for martial arts related mediums, which added to his interest in working with cameras and other media. When he was 27 years old, he moved to Madrid, Spain, to work at a Fight Choreographers Group with his identical twin brother, Steven Dasz. 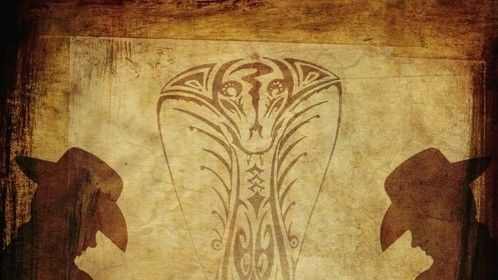 The twins are the younger brothers of Damian Rilo. Andrew's acting career began in 2005 while he was in Buenos Aires, Argentina, attending some acting and modeling courses for a few months. 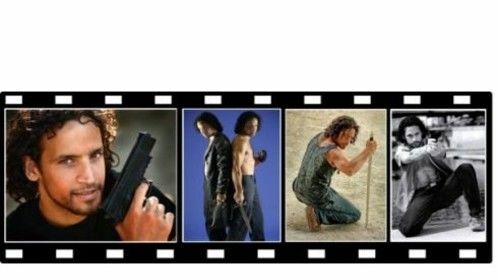 This led to his decision to begin a a career in acting and as a martial art/action fight scene choreographer. 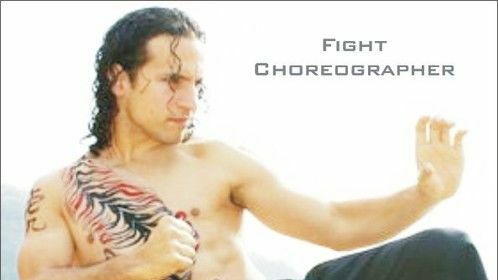 As an Actor and Fight Choreographer he traveled around the world: Spain, USA, Hong Kong, China, Macau, Argentina and Brazil. Andrew has acted in numerous commercials in different countries - Hong Kong, UK, Spain and Denmark. The role of the Spanish Combat Bull in the short movie Medallion of Kung fu (2010) with Chia Hiu Lui (Gordon Liu) was offered to Andrew, but he couldn't do it. His twin brother, Steven Dasz, was cast instead. When he made the teaser for "Stunt Games"in 2007, Steven Dasz suffered a sprained right knee in testing prior to filming so Andrew performed as a stunt double on this production. in 2010 Andrew moved to Hong Kong, China. Where he currently lives. 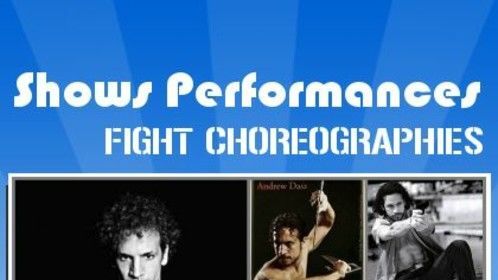 Andrew trains actors for fight choreography, such as Alejandro Casaseca, Mariam Hernández, Oscar Abad, Kristin Quinn, Aranzazu Diez, Blanca Berdejo, Martin Crespo, and others. Besides his Tae Kwon Do (ITF) and Ving Tsun Kung Fu Training, he has trained in Hung Kuen and Lion Dance in Hong Kong, in Aikido and Kick Boxing and in Boxing in Buenos Aires Argentina and and Madrid, Spain. He also competed in Tae Kwon Do Competition in Buenos Aires, Argentina. He also studied the Frank Dux System of stretching in Buenos Aires. Andrews favorite actors are Jet Li, Sammo Hung, Yuen Biao, Gordon Liu, Jackie Chan and others from Hong Kong/Chinese Movies. He is a big fan of the Actor/Martial Artist Bruce Lee (Lee Siu Loong). Andrew speaks Spanish, Portuguese, English and Basic Chinese and has an Argentine accent. Andrew's goal is to stay healthy with nutrition and exercise. He is a Macrobiotic, Vegetarian and doesn't mix Carbohydrates and protein. His training is on the street. He consideres himself an urban athlete and gets exercise by rideing a bike, taking stairs, walking, running, jumping rope, etc. He is also a Kung Fu Instructor (Ving Tsun & Hung Gar) and Personal Trainer in Hong Kong. Every week he trains in a different styles of Chinese martial arts.